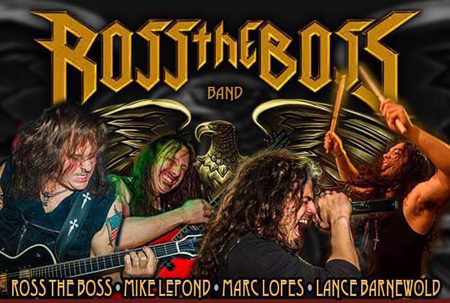 The Ross The Boss Band will release their debut album, 'By Blood Sworn', on April 20th and it looks like it's going to be another year of intense touring for the Hall Of Heavy Metal History Global Ambassador. We're expecting the first full track from 'By Blood Sworn' to be with us soon but in the meantime, here are some clips from the forthcoming opus. 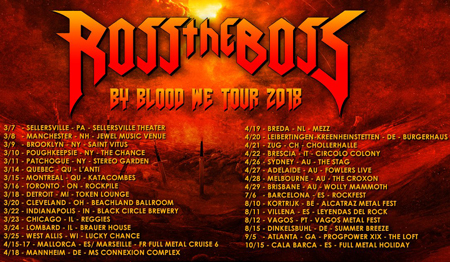 'By Blood We Tour' kicks off at Sellersville Theater in Philadelphia on March 7th and continues through America until March 25th. It resumes on 15th April on the French Full Metal Cruise and dates in five European countries before the band hit Australia. They return to Europe at the end of April and are slated for several European festivals this summer with UK dates expected to be announced soon. 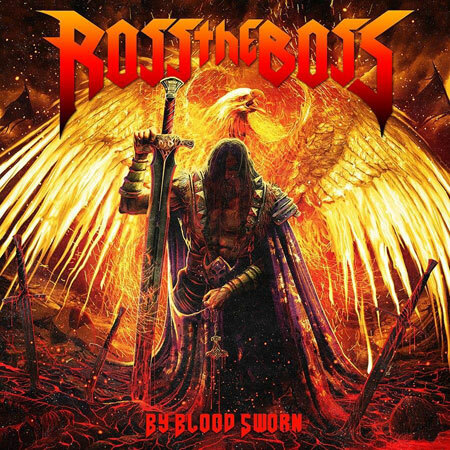 Stand by for much more from Ross The Boss in the run up to the release of 'By Blood Sworn'.